by Creasia, Joan L., Parker, Barbara J.
Creasia, Joan L., Parker, Barbara J. 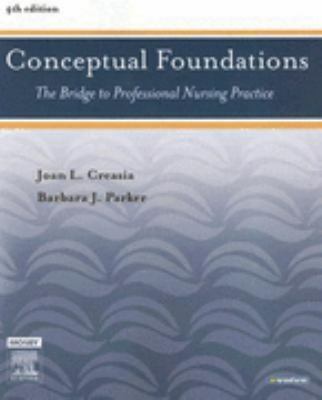 Focusing on the professional nursing role and the concepts which form the basis of professional nursing practice, this text looks at nursing education, ethics and theory and discusses the social and cultural influences on nursing.Creasia, Joan L. is the author of 'Conceptual Foundations The Bridge to Professional Nursing Practice', published 2006 under ISBN 9780323036597 and ISBN 0323036597. Loading marketplace prices 27 copies from $0.02 How does the rental process work?